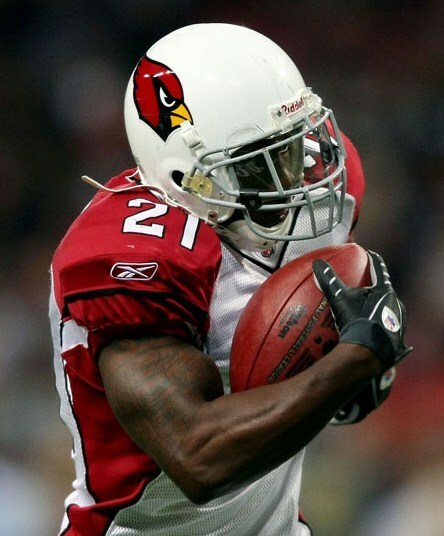 There have been plenty of changes in the Arizona Cardinals roster since their Superbowl XLIII appearance in 2008. Unfortunately for the Cardinals, most of those changes have made their team less productive on offense, and the defense hasn’t gotten much better either. Now that we will have an NFL season in 2011, roster changes by the Cardinals since ’08 have made the one-time contenders only pretenders for the NFL playoffs this season. The only thing that gives them any chance at all is that they are playing in such a weak division. After all, the Seattle Seahawks made the playoffs last year as NFC West Champions with a losing record (7-9). I think this Cardinals season is going to be a rebuilding year, but hopefully it will prepare them to contend again in the near future. It seems like such a long time ago that the Arizona Cardinals were playing in their first Superbowl. In the span of only two years, the Cardinals roster has changed significantly. First and foremost, I believe that the Cardinals lost both their heart and soul on offense. 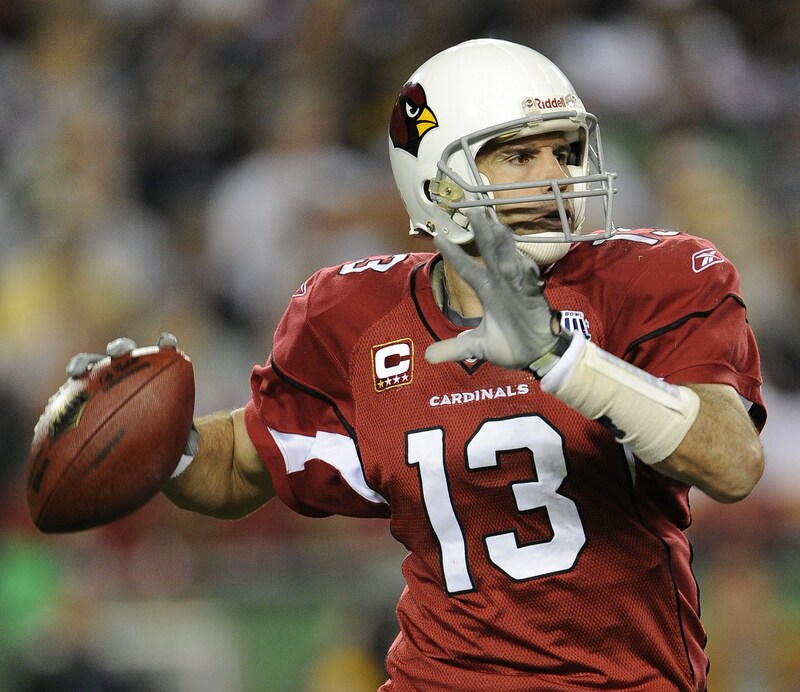 Kurt Warner retired after the ’09 season, and I considered him to be the real soul of the team. He was so positive, intelligent, such a great leader, and one of the most accurate passers of all time. He believed that the Cardinals could do anything, and that leadership and belief almost led the Cardinals to a Superbowl victory. Another player that is sorely missed on offense is wide receiver Anquan Boldin. He was the real heart of the team. He would put his body in harm’s way on every play. He was fearless, enjoyed running through defenders, and was not afraid to put a hit on an opponent down field. 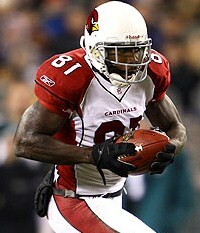 Boldin was part of a trio of 1,000 yard receivers for the Cardinals in ’08. Also gone from that 2008 team are Tight End Leonard Pope and offensive linemen Mike Gandy and Reggie Wells. If you don’t think these players made a difference, let’s take a look at some of the offensive numbers in the chart below. The main difference, of course, has been in the passing game. The running game was pretty much non-existent in ’08, and remained non-existent in 2010. The Cardinals scored 8.6 fewer points per game, gained 96.5 fewer yards per game, and had 5.4 fewer first downs per game in 2010 than in 2008. Their passing game went from being one of the best in the NFL to one of the worst in the NFL in only two seasons. The completion percentage dropped 15.5 percent. They threw for 1,753 fewer yards, 77 fewer first downs, and 21 fewer touchdowns. The quarterback rating dropped 35.6 points, and the completion percentage on third and fourth down declined dramatically from 2008 to 2010. Finding a good quarterback that will lead the Arizona Cardinals into the future is critical. Defensively, the Cardinals also lost some quality players over the last two years. All three of the starting linebackers from 2008 are gone. 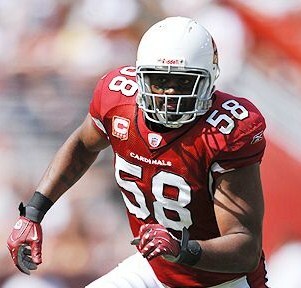 Leading tackler and the heart of the defense, Karlos Dansby left the team after the 2009 season as an unrestricted free agent. Chike Okeafor retired, and it was just announced on July 26th that Gerald Hayes has been released. This trio accounted for 266 tackles, 9 sacks, 3 interceptions, and 5 fumble recoveries during the ’08 season. In addition to that, defensive linemen Travis LaBoy and Antonio Smith are gone, as well as defensive backs Antrel Rolle and Roderick Hood. Rolle was the leading tackler out of all defensive backs in ’08, with 88 tackles. The Cardinals also moved from a 4-3 defense to a 3-4 defense since ’08, but that only made their already atrocious rushing defense even worse, and didn’t do much to improve their pass defense. If you don’t think the loss of these players made a difference between the Cardinals going from Superbowl Contender to cellar dweller (5-11) in 2010, let’s take a look at some defensive numbers in the chart below. In 2010 the Cardinals gave up more points, more total yards, and more first downs per game than during the ’08 season. They also had more penalty yards, allowed more total passing and rushing yards against them, and gave up six more rushing touchdowns. They also allowed more plays of 20+ yards against them in both passing and rushing. The 2011 Arizona Cardinals are no contenders for the playoffs, and have a lot of serious holes to fill on both offense and defense. Although I feel it is going to be a long season, here’s hoping they make the right moves now in order to contend in the near future. I look forward to seeing what transpires over the next several days and weeks. ~ by Troy Erickson Realtor on July 27, 2011.